The winter of 2016/17 saw a large amount of snow falling on the Sierra Nevada Mountains. 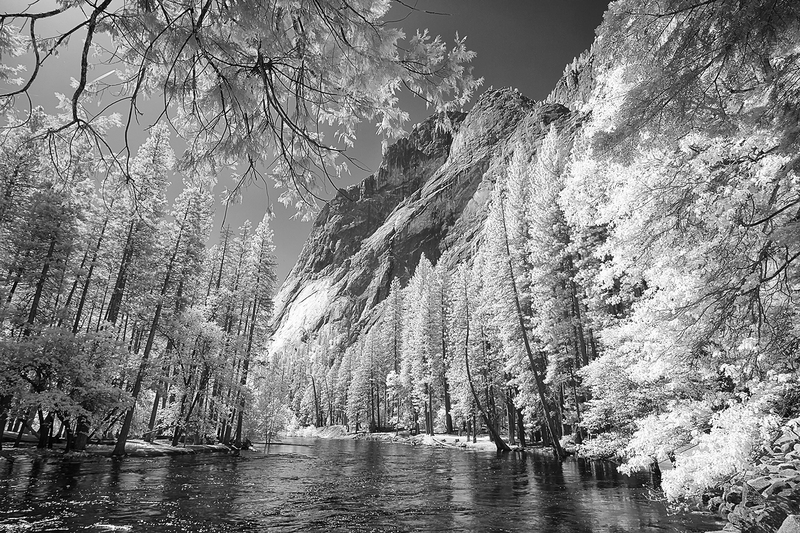 When the spring melt arrived, the lazy Merced River on the valley floor of Yosemite National Park became flooded and swept into the meadows that one would normally walk across during the summer months. As will be seen in other images, the spectacular Bridal Veil Falls and Yosemite Falls were also in full flow and many waterfalls could be seen that had not been seen for many years.